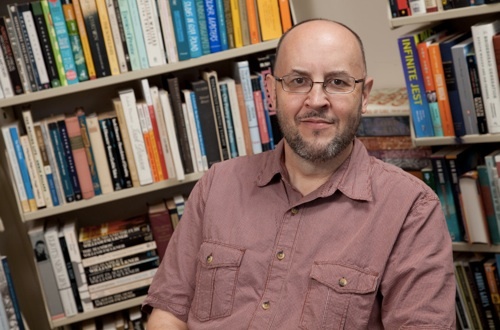 It was big news last fall when Baylor University’s honors program hired Alan Jacobs away from Wheaton College, where Jacobs had been a prominent fixture as the Clyde Kilby Professor of English for nearly 30 years. (Check out his useful home page here.) Jacobs is much in the mold of C.S. Lewis, combining a grounding in classical thought and literature with an interest in modern writers and contemporary perspectives (especially on technology). Jacobs is the author or editor of 13 books, ranging from studies of W.H. Auden and C.S. Lewis (The Narnian: The Life and Imagination of C.S. Lewis) to Original Sin: A Cultural History, along with general collections of essays that appeared originally in The Weekly Standard, the New Atlantis, and elsewhere, including The Pleasures of Reading in an Age of Distraction, and Wayfaring: Essays Pleasant and Unpleasant. In September, Princeton University Press will issue Jacobs’s next title, The Book of Common Prayer: A Biography. He writes a regular blog at The American Conservative magazine, and has blogged previously with The Atlantic and also on Tumblr. In fact, this extraordinary output makes me wonder if there isn’t more than one Alan Jacobs, or whether he sleeps at all. At this point, one might be tempted — legitimately and justifiably tempted — to classify McLuhan as a huckster and move along to better things. And yet there’s that line that [Tom] Wolfe quotes: “The content of the art of any age is the technology of the previous age.” This could possibly be right, and importantly right — think about movies based on books, or the number of websites devoted to television programs — and even if it’s not, in the strictest sense of the term, right, it is usefully provocative. It stimulates thought. You can take in Prof. Jacobs here, lecturing at the Hudson Institute on his 2011 book The Pleasures of Reading in an Age of Distraction (about an hour).